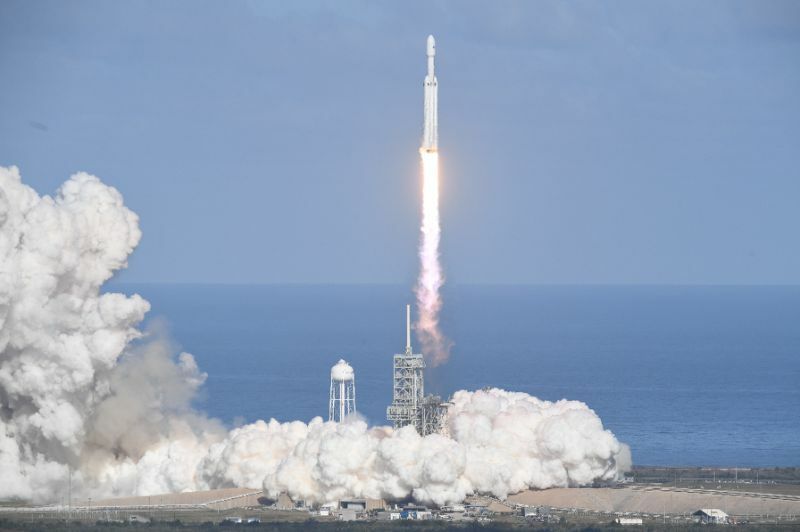 Cape Canaveral (AFP) – The world’s most powerful rocket, SpaceX’s Falcon Heavy, blasted off Tuesday on its highly anticipated maiden test flight, carrying CEO Elon Musk’s cherry red Tesla roadster to an orbit near Mars. Loaded with Musk’s red Tesla and a mannequin in a spacesuit, the monster rocket’s test voyage has captured the world’s imagination. Both rockets landed side by side in unison on launchpads. The third, center booster was to attempt a landing on an ocean platform.